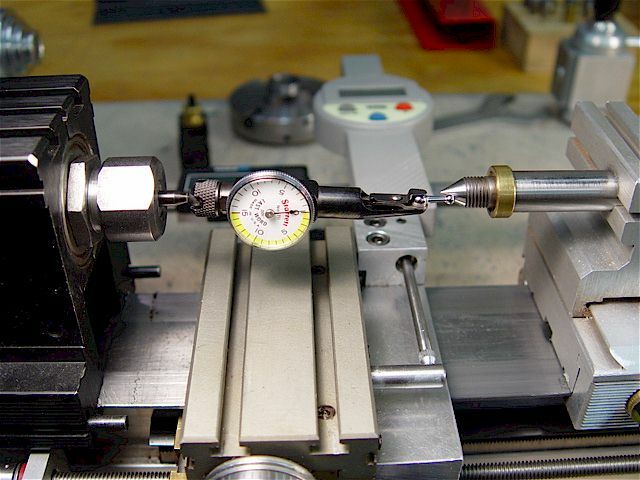 Taig lathe tailstock tramming animations. Zero front/back readings. 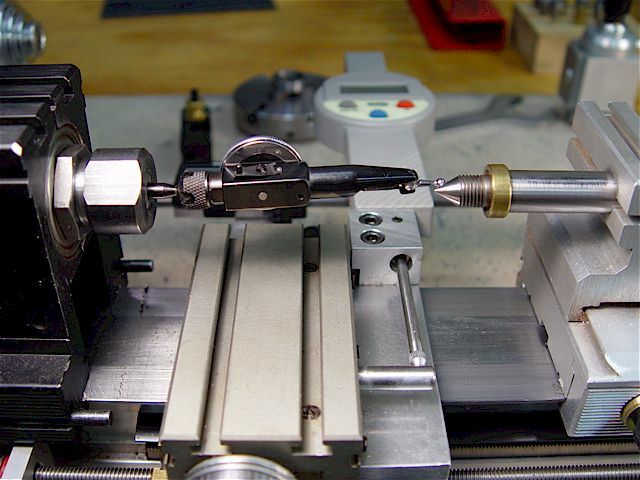 in the spindle & a dowel pin in the tailstock-mounted drill chuck; another method uses the dead center. 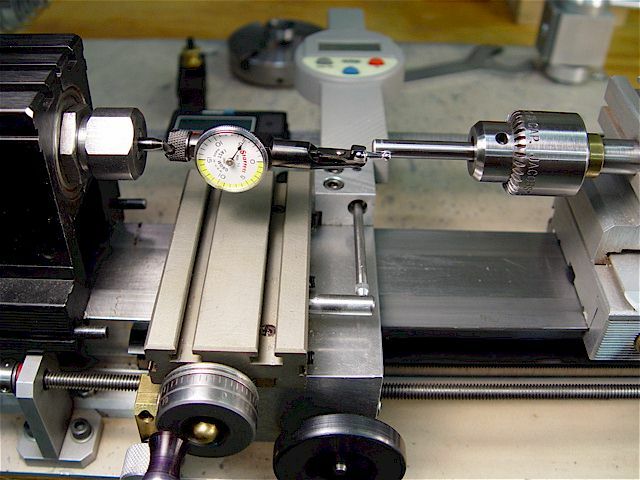 tailstock offset, making half-the-difference changes between them until there are no differences. Also see tramming the 9x20 lathe.